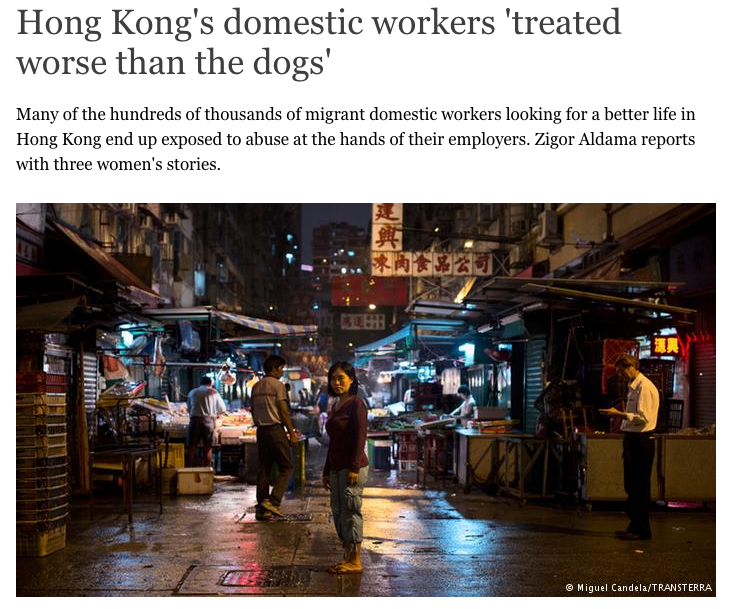 320,000 migrant women are exposed to all kinds of physical and psychological abuse in the domestic service sector of Hong Kong. 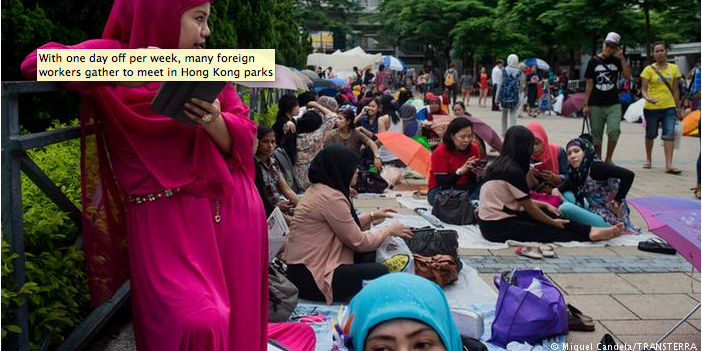 A story shot by our contributor Miguel Candela from Hong Kong, covering the situation of the domestic workers in the country. 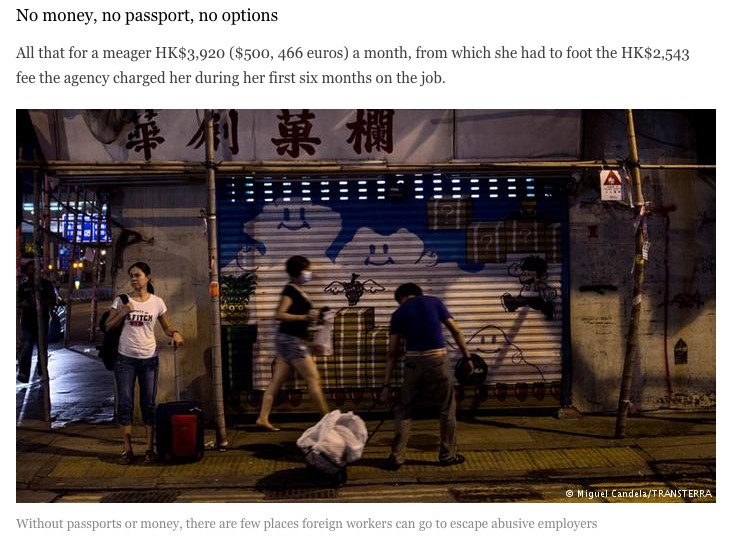 The story includes interviews with few workers in Hong Kong, describing the situation they are living in. “We barely have any money, so we have to take our lunch from our employer's house and sit in any public space that we can so we can enjoy our leisure time with our friends,” said Kamsiah, one of the domestic workers interviewed by Miguel Candela.